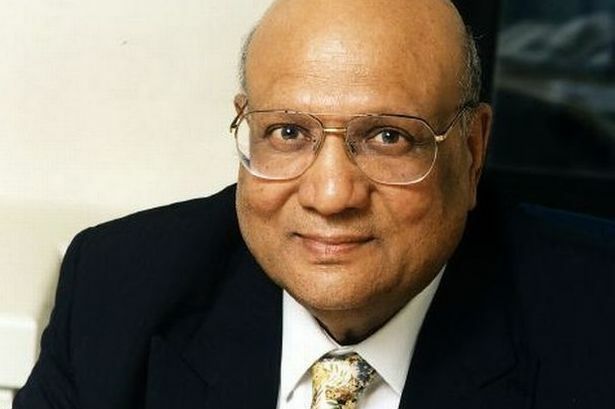 The worldwide growth of 84 year-old Lord Paul&apos;s Black Country-based steel and engineering empire, the Caparo Group, came to an abrupt halt in the autumn, when 16 Caparo companies went into administration. And a business tragedy turned into a personal tragedy when Lord Paul’s son – 45 year-old Angad Paul who was chief executive of the company – fell to his death in an apparent suicide. Angad Paul died after falling from the eighth storey of the family home in Marylebone where he lived with his mother and father and twin brothers Ambar and Akash. The father of two was married to lawyer Michelle Bonn. Caparo suffered from the turmoil affecting the steel sector, and its operations in the UK have been hit hard by cheap Chinese imports, as well as facilities in Poland. Administrators PwC, appointed to oversee the administration of the affected Caparo businesses said their commercial prospects rendered them unviable. Despite that, most of its businesses have been acquired by the Gupta family and most jobs have been saved. Caparo still employs around 1,200 people in other operations and has bases in around 80 locations around the world. It has significant businesses in India. The Caparo Group had previously been profitable , reaping the benefits of trading with the world’s most successful economies, many of which are now declining. Its success in India in particular repaired its post-recession balance sheet. The company’s stated aim was to be the biggest automotive company in Lord Paul’s native country. In the UK, the University of Wolverhampton was the recipient of a £1 million donation from Lord Paul, who is its chancellor. The gift, the largest in the University’s history has been made by the Ambika Paul Foundation set up by Lord Paul in memory of his daughter. The Caparo Group was founded in 1968, two years after Lord Paul came to the UK to get treatment for his daughter Ambika’s leukaemia. She died soon after and the foundation was set up in her memory primarily to promote the wellbeing of children. It has donated millions to children’s charities. Steel, automotive, engineering and property group Caparo has its regional office in Oldbury and a technology division on Wolverhampton Science Park. In addition Lord Paul’s son Ambar, heads the family’s Caparo Hotels chain which has hotels in Oxford, Abingdon, Torquay and London. Lord Paul is chancellor of two universities – Wolverhampton and Westminster – and he is committed to improve standards of education in his native India. Lord Paul is a strict vegetarian who lives by simple Hindu principles.